Home » Health » Health insurance » Insurance » Medical insurance » How to Get the Best Corporate and company medical insurance? How to Get the Best Corporate and company medical insurance? In recent times, it has become common for companies and corporate, to give their employees medical insurance benefits to benefit both of them. If you own a company with more than 250 employees, you will require a private health insurance policy that is flexible for all your needs. Checking your budget, looking after your employee's well-being, covering the different ranks of staff and working towards a full 365 days of their well-being is a good step. Company medical benefits to their employee lure competent staff that in turn makes your company to grow, as the competent employees will give their best to your company knowing that their medical issues will be looked into in a snap by the company in case of illnesses or accidents. Rather than the norm of visiting the health facility that can only afford by the employees, get variety of hospitals to choose from that will ensure that they consult the best medical practitioners free of charge. It ensures peace of mind to the employees knowing their health needs and those of their families are catered for. They are assured that if they make a call at midnight in cases of emergencies a 24/7 service will be of help to them at any time. 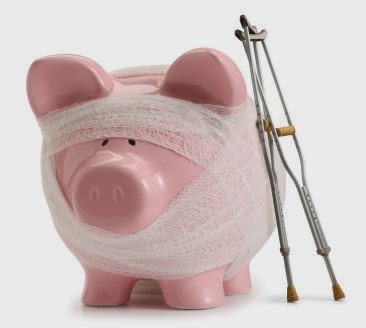 1) Find the Lowest Bidder: Deductibles can total to thousands of dollars every year in which you will require to have cash saved up, to pay employees medical bills in case of an accidents or emerging illnesses. When comparing companies, policies with the same benefits may have different costs, so you should look for an insurance company that offers the best cover at a good rate. When selecting a company, consider your company budget that will keep both the company and employees running. 2) Negotiation of Companies with Insurers: Couple of years that have passed, it has shown situations whereby, companies end up being charged more of premiums than they require. It is common for some insurance companies not to bring up their best possible rates right from the beginning when initiating the insurance contract. If companies could spend more of their time bargaining with different insurance companies, they would be in most instances be able to go low on their quoted premium rates. 3) Finding the Right Company: It is always complex finding the right kind of health insurance you need and the products and services offered by insurance companies in the market. Every company has its own insurance needs, and sometimes it becomes a hustle to find the right insurance company that meets your specific medical insurance needs. 4) Using the Broker Services: If wish to simplify the process of finding the best insurance company, you can consult a broker that specializes in private medical insurance and is able to outsource the best cover for your company needs with the best rates. Brokers do not charge any fees to their customers as the expertise brokers get commission from the insurance companies once an insurance cover is issued. The brokers that give expertise service do not take you round in circle and will make sure your needs are satisfied. They normally, carry out a thorough survey of your company medical insurance needs before making reference based on your requirements. Before choosing a broker to cater for your insurance needs, it is good to first check their reputation especially when it comes to remitting the paid premium to the insurance companies. You do not want to go through a broker who will take all your hard earned cash down the drain. 5) Find the right cover Plan: Not all insurance companies have the entire policy plan that your company employee’s needs, you should opt a policy that satisfies your requirements and then select the company that offers it. Do a research of the cover plans. Your company’s unique needs and budget will determine the cover plan that is perfect for your company. 6) Choose the right size of provider Network your company needs: Doctors and health centers vary between companies and across each country. If your company has many branches all over the country, it is good to choose an insurance health provider that will offer a list of medical providers available for everyone regardless of their location. A small network may not be a hustle if your employees in a certain location have a preferred medical practitioners. A medical scheme that will let your employees continue working at your company in a specific country, without the need of going home to seek medical assistance is the best option. The European Health Insurance card is a good option for this case. It is normally given out for free to individuals who are insured by a statutory social security scheme. It will allow your employees to seek medical treatment in other member states without much on a lower cost, if the treatment becomes an emergency during visits such as accidents or chronic diseases. 7) Evaluate the competence of a company: Once you have selected the company that will meet your employee's needs, do a survey of whether their customer response is best for your employees. Does your company offer 24/7 phone assistance? Does it offer online premium payment or reimbursements in case of a claim? Consider how much this will be of benefit to you and your company. If your company employees need assistance in understanding bill limits and making of claims, it is worth the value of your pocket for that excellent public rlation. Finding an expert private health insurance broker or company can most instances save your time and cash as they try as much to bargain the best premium rates available and that will suit your company s' needs. Therefore, you do not have to take a lot of time looking and comparing different rates available for the right insurance companies, which will save your money, and time that be better used somewhere else.